Hands up if your broadband ISP makes the upload (upstream) speed of your Internet package clear on their advertising? We thought not. Sadly only a few of the major ISPs even bother to advertise upload performance and those that do only tend to show it on certain products. But how fast you can push information into the online world does matter and its importance is growing. After a quick look at how broadband is advertised by most of the mainstream providers, which tend to focus almost exclusively on the download (downstream) performance of their connections, you’d easily be forgiven for thinking that Internet traffic only goes in one direction. In fairness, how many people pay attention to the speed at which a car can reverse? The focus is inevitable always on forward motion in Miles Per Hour (MPH) because that’s the direction in which you spend most of your time travelling. But the Internet is more complex than a motorcar because both directions, currently measured in Megabits per second (Mbps), are always being utilised; albeit one usually more so than the other. Indeed most of what you do online is ‘download’ orientated, so it makes sense for ISPs to focus on that and avoid the confusion of uploads. Every time you load a new webpage or email, pull a file from a server or stream video online it’s the download side of your connection that gets tested the most, with uploads usually just existing to confirm the request and exchange a few basic details with the remote server. Similarly the majority of Internet connection technologies, except for the very high-end pure fibre optic lines (FTTH/P) and specific business solutions, tend to be asymmetric in nature. Put another way, in order to make the best use of the available connection capability, download performance is given preference over the less essential upload component. For example, standard copper line based ADSL2+ broadband can deliver up to 20Mbps download and a little over 1Mbps upload on a good connection. Even the top 80Mbps capable FTTC lines still only deliver a maximum upload speed of 20Mbps, while Virgin Media’s top 152Mbps product pegs the uploads even lower at 12Mbps. So it’s perhaps little wonder that ISPs, much like car manufacturers, choose to focus on the biggest and most important number for downloads, while shunning uploads. Ironically upload speeds are usually a lot more stable than download performance, so they should be considerably easier for ISPs to market without the usual fear of inadvertently misleading consumers. Let’s take a look at how some of the biggest providers fair when it comes to communicating upload performance as part of their primary promotions and comparisons. Which Major UK ISPs Promote Upload Speeds? To their credit BT do clearly state upload speeds on their “fibre” (FTTC) products, although the older standard broadband (ADSL2+) services only seem to reference the download speeds and uploads are nowhere to be seen. Virgin, perhaps fearful of looking weaker next to the rival FTTC services that they sometimes point towards as being inferior to their own cable (DOCSIS) platform, make no mention of upload performance unless you dig deeper and hunt out their Traffic Management Thresholds. Sky only makes a clear mention of download performance for the standard (ADSL2+) and fibre (FTTC) packages, while uploads are nowhere to be seen. Curiously TalkTalk doesn’t even appear to mention download speeds for any of their services except the fibre (FTTC) solution and, once again, uploads get zero coverage in any kind of noticeable way. Like so many others above, EE state the download performance for all of their packages, but there’s nothing about uploads. By comparison it should be noted that many smaller ISPs, such as Zen Internet, do state the upload performance for all their services. Over the past 5-6 years the online world has changed. More and more consumers are storing large quantities of data in the “cloud“, uploading their personal video streams and ever high quality pictures via Facebook or YouTube and the number of multiplayer gaming systems that rely on BitTorrent (P2P) file sharing technology to manage live updates/patch distribution has increased significantly (e.g. Steam, Xbox Live etc.). What many forget is upload is governed by your own internals so stick router on end of extension lead then speeds will be slower. Best performance is always have router close to BT master socket then run ethernet to pc. Also the equipment you add can increase noise on upload more noise less speed this is a two way street not just the ISP.. The article is focused on the lack of promotion for this side of service, and its growing importance to consumers, rather than what can impact its performance. But generally I’ve always found uploads to be way more stable than downloads due in part to the lower asymmetric balance. Locating the router near master socket simply has no influence on the upload speeds set by the ISP – which are set at the exchange or cabinet (for fttc) – the limits of upload speeds are down to the frequency allocation over the remaining copper line, eg for the phone service 4khz is required on ADSL. SDSL services for example do not support both telephone (pstn) and broadband over a copper pair. However with FTTP you can do what you want – though BT will not want to do this for commercial reasons. Download speeds are affected more than upload speeds, signal on downstream is far, far, far weaker by the time it gets to the property than upstream, and more prone to attenuation due to being at higher frequency but never mind. At least with ADSL the upload limits where a technical limitation. On BT’s FTTP GPON product even the top plan has a comparatively meagre upload limit, 30 mbps upload compared to 330 mbps download. This is not technical limitation, but rather a business decision by BT. GPON can support upload speeds of 50% of the download rate, so the upload speeds on the 330 mbps download speed product could be up to 165 mbps. The main reason I can think of, why BT might do this, is that BT doesn’t want to cannibalise its leased line market, so it’s deliberately restricting the potential upload speeds on GPON. BT will be trialing a gigabit ‘soon’. Presumably this will come with considerably higher upstream speeds, maybe 100Mb? @ignitionnet Personally, i’d prefer a 330/165 connection over a 1000/100. A 1000/500 connection would be even better. Uploading 1080p video to YT on an ADSL Max line is even more of an experience. H264 means I can safely drop the stream bitrate to around 5mbps, but on 0.3mbps upload speed, things take A LOT of time. Correction on FTTP – their is limits down to the PON, though as the previous post suggests even 100Mbps symmetric speeds would be more than possible currently. In the US, I read Google fibre uses GPON as well. They offer 1000mbps for both upload and download. So GPON networks are pretty scalable. Puts BT to shame really. FTTC should be 80/80 not 80/20. Also Virgin Media should be 152/152 not 152/12. It’s all about money, and restrict to upload cap. I suppose everything comes down to a question of money but you aren’t going to get 80/80 symmetric out of BT’s CURRENT VDSL setup. The theoretical possibility of the VDSL2 standard is a very different thing from practical mass market / real-world reality. We might be able to re-examine this after Vectoring, G.fast and FTTrn/dp have been introduced over many years but by then we’re not talking about vanilla FTTC anymore. G.fast / FTTFarNode is due for trial no later than FY 2015-16. FTTC cannot deliver 80Mb symmetrical to any distance even using vectored 30a. More to the point why would people want 80Mb/80Mb over 200Mb/40Mb? Do you get support based in the UK if you pay that much? @adslmax-for what cost. Thousands a month I think. VM charge 15000 a year so god knows. 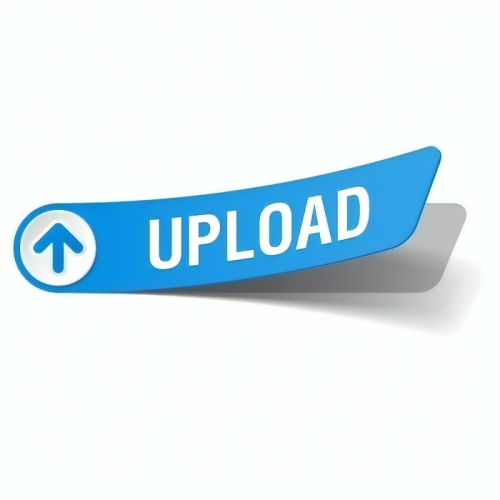 The upload speed can also affect/throttle your download speed if it is too small in relation to the download speed. For you to download, you must send (ie: upload) acknowledgment messages saying “I got it OK – Send more”. When you download a packet you must acknowledge successful receipt to get more. If the ratio is too imbalanced it is possible for you to saturate the upload side so that the acknowledgement of the first downloaded packet does not get to the server before the last download packet is sent (you have a window of “in flight” packets that can be sent before no more will be sent until they are acknowledged). This can throttle the download speed. My brother can vouch for that. Whenever I’m uploading a video, his downloading and, more importantly, gaming ability goes completely out the window. True but the asymmetry needed to bottleneck is crazy. 52 bytes needed per 1500 downstream even if TCP stack incredibly broken and acknowledging every packet. Is this a hint as to what’s to come within VM Igni? Haha! Any similarities between VM’s plans and that number are purely coincidental. Do expect them to beat FTTC on upload soon-ish though. Just done this speedtest. http://www.speedtest.net/my-result/3702514273 my upload hardly ever drops below about 700Mbps, often I can get 900, it depends on whether the test servers are busy or not. I pay £30 a month. With a proper fibre connection all things are possible. I got this the other night from another server where the upload wasn’t as good as the download http://www.speedtest.net/my-result/3619873893 nice? 1. Apart from the actual line speeds, backhaul characteristics are part of the equation too. Some people report quite hideous throughput degradation at peak times particularly on VM services. 2. FTTC systems in the real world are seriously affected by line quality and distance. Speeds get capped by line management logic during and after a noise storm. Getting caps removed is enough to try the patience of a saint ! On poorly performing VDSL services the upstream speed seems to be hit quite dramatically so it’s quite possible to have an upload speed running at less than 500 Kbps. 3. Given that we have observed BT Openreach withdrawing VDSL services on bad lines** rather then repairing or replacing them, how much funding is there to make any really dramatic improvements ? Even if some of the 30,000 + cabinets were upgraded how would that benefit those on single digit VDSL download speeds ? ** Note there is NO Universal Service Obligation for any broadband service as far as I’m aware. 4. Search for neil-fairbrother and GFAST to understand more of the limitations. As this article correctly picks up, much is said about potential downstream speeds for VDSL in terms of the capability of that technology to supposedly meet the ‘super-fast’ requirements and little regarding the upstream. As some have found when signing up, the upstream capability is actually worse than ADSL depending on the D-side length, I’ve seen people change back to ADSL and even that’s only, what, 1 Meg. Maybe even as low as 0.2 Meg. That we’re still talking in single digits (or fractions of single digits) is woeful. IIRC average upload speeds on uncapped VDSL lines are over 15Mbps, according to the most recent Ofcom results. Obviously there will be outliers, but I’m pretty sure the average was a little over 15Mbps. Yes judge wisely people. You can listen to Neil who has previous worked for vodafone or fibrefred in his armchair who claims people that have worked in the industry have bogus claims. Its not hard to decide who to listen to especially when they go complain about being called out on it. I’d like to know which areas of my blog entry are bogus. Can you enlighten me? I find it beautifully ironic that you take everyone to task about the fact that both BT and Virgin are selling their superfast hybrid services with the label “fibre broadband” (and have been approved by ASA). In reality, it is just a label, and the label has no effect on the actual speed sold to people. It is just that by using that label, it helps with their marketing efforts to show that X is better than Y, making it an easy sell. And the irony? That you label your blog as “Marketing Management for … telecoms”. Isn’t it de rigeur in the marketing world to bend the “technical truth” into an easy sell? As for pulling you apart for bogus details, I’d start with that ridiculous graphic that suggests that one cabinet in Slough covers half of Berkshire. But your response to the same point in the comments shows a marketer in the prime of his life: Someone mentions some inconvenient facts, you invoke misdirection rather than discuss the issue. To paraphrase PhilT’s final comment: It isn’t all about the Mbit/s, you have to consider the £££ too. You yourself say you are in VM’s top 5% – willing to spend on (then) 120Mbps. By ignoring the £££, you are ignoring what the majority of people think: that they aren’t even willing to spend an extra £5pm on faster broadband whatever element pipes it into the house. Even in households that are willing to pay a little extra £, you find that the majority turn out to pick the slowest package. The least £. The majority of people don’t care about downloading 4.4GB in 1.2s. They care about saving their £ for food on the table. Once you properly consider the £££, you have to consider risk, interest, return, investors and competitors. The real, hard, financial world. So the real bogus thing about your article, beyond the marketing misdirection, is that you focus on Mbps to the extreme, and ignore the £££. So you are saying there is no need for FTTC as even if you can get it most people wont take it and will stick to cheaper ADSL. therfore FTTC if nobody takes it and prefers a slower product is a waste of money. So how is any of his claims bogus? People becoming accustomed to e-life in the 21st century are becoming less tied to that ethernet (gigabit twisted-pair copper?) cable into the wall. People are walking around with phones & tablets, cut free from wired tethers. There are classes full of kids being taught on iPads. Offices full of BYOD employees. All using WiFi. Even TV & set-top boxes are becoming WiFi-based. WiFi is the true enabler of life in this part of the century – and that WiFi places a bigger bottleneck on things than the backhaul out of the house. For most “ordinary people”, and most of their activities, a backhaul dimensioned to the speed of their WiFi will be more than enough. Perhaps and how much bandwidth do you think a class of 30 kids need to all watch a educational video on their ipad at the same time? How do you think the initial connection to the school is made if not wired? All normally powered via a home broadband connection normally consisting of initially a device plugged into the wall. Even more so with TV boxes seeing as a large market of them come from BT, Sky and Virgin whos broadband is hardwired. Regular wireless bandwidth clearly is not enough for modern day use either, unless you are saying the invention of 5Ghz and AC routers is redundant? Perhaps you should tell BT they should not had bothered with the HH5 and its improved wireless speeds. Sorry, Raindrops. You’ll have to re-read; there’s nothing wrong with any of the points you quote. But how is any of his claims bogus? Here’s my long answer. That graphic comes from a guy skilled at marketing communications, and brags about the £M and $M of brand value and revenue streams he brings. He says he is knowledgeable about technology. Everything he uses to sell himself says he knows how to sell a message. He wants that graphic to sell a message – a simple message, easily received by gullible readers – but unfortunately that message is deceptive. Plain & simple. Microsoft would be proud of such FUD. When called on this deception, he has to use misdirection: “this may be so [but] still not fast enough.” But there is no real analysis of what *is* fast enough, save falling back on the nice soft “ordinary life in the 21st century”. Without proper analysis of needs, speeds and the financials, over time, the pure focus on “more Mbps” is merely an unsubstantiated rant. As an input to discussions, it is as useful as Jeremy Clarkson ranting for “more power”. As for the title: Is G.Fast a cul-de-sac? I guess he should persuade Vodafone that 4G is a cul-de-sac too. No point in investing in that, as we’ll soon be on 5G anyway. Think of the money you could save by not paying for a 4G licence. Or as a skilled product manager for Vodafone, he probably realises that the money brought in from investing in one generation of technology is precisely what funds the investment in the next generation. Or it would be in an unregulated business, at least. Lets be clear, however. If I were asked what the technically best thing for the UK would be, I’d agree with Neil: FTTP for everyone is the obvious solution, no question about it. Point-to-point too. Voice comms provided by VoIP, so we can throw away all the System X and AXE exchanges as well. Add more shared mobile sites for better 4G coverage for all too. Get digging now! The only obstacle in the way is paying for it. Especially in an already-existing, regulated, competitive environment. With focus on including the rural/sparse areas with low commercial viability. The problem in discussions like this is that the financial/competition/regulation obstacle is way bigger than the technology one. Way, way bigger. The only reason that a market for technology like G.Fast exists in the first place is as a palatable compromise solution to these financial obstacles. Therefore an article that seeks to aggrandize FTTP over G.fast from a technical perspective, but that fails to consider any of the financial aspects that brought about those differences, is at best incomplete. A naive rant, perhaps. Bogus, if you are being uncharitable. Given the author is a skilled marketing communications expert, I’d say it is a deliberate choice to mask the reasons why G.fast might be a better interim solution, and therefore I choose to be uncharitable. The problem that needs solving isn’t in the technology. It is in the financials. If we can’t solve the financial problem, we are bound to be controlled by it; bound to be relegated to the compromise solutions. In case it isn’t obvious… I have little time for, little trust in, marketers in general, especially when I know they are hiding things. I do not see how any graphics on his site are misleading, in fact some of them (actually many of them) are from other sources. 4G is the right now, there is no 5G, ofcom have not even finalised the frequencies for that yet. FTTC Vs FTTP on the other hand both could be done right now. BT picked FTTC, you can argue its because of cost or any number of reasons but ultimately that is what the majority of BTs roll out is. They made a choice of rolling out a lesser product than what they could. Arguable sooner or later we can argue on the time frame all you wish, and cost but FTTC will not be enough. So ultimately its a stop gap solution at best and one that has cost billions. I guess this is like anything else in life, and any product… Do you buy something cheap and have it not last and then buy the same cheap thing again, or do you just buy the quality product in the first place and save the time and money, even if that means an initial larger outlay than what you could had spent. If it lasts longer in the long term its money saved not extra spent. Me personally i prefer to buy something i know will last even if the initial cost is more. Id sooner pay say double for something and have it ultimately end up lasting 2 times or more longer than a cheaper alternative. BT on the other hand do not think this way. They have a habit of going for the cheapest solution available at the time, from IDSN rather than ADSL and then ADSL rather than ADSL2. They are now repeating the same pattern with fibre. The very fact Virgin have a network decades old (Telewest now Virgin started all the way back in 1984) which delivers speeds far superior to FTTC speaks volumes. Sure we can discuss cost again, even argue who is right or wrong to spend or not to spend but again id argue they saw the network as a longer term investment where as BT and what they choose seems to always be for the short haul. BT seem to concentrate on the how much money can we make right now rather than how much can we make in the future. I personally will be outraged if the government fund BT in any way for their next development, because it seems it will be nothing more than basically a bolt on to FTTC, which again another few years down the line will need something else. The first thing id want to know is why do they feel they deserve more investment when they have had significant already for something which they claimed was a significant step forward for broadband. If we are talking cost and what each tech would cost then sorry but I can not even comprehend why you would give any organisation hundreds of millions of pounds for a product that is slower than what one of their main competitiors is able to offer. My god can you imagine that in any other part of the tech world, say Panasonic going to their government and asking for million of investment to go back to CRT while the others have OLED tech? Or Ford asking for millions from a government to shove in a reliable but ultimately decades old engine design in their cars. FTTP may be expensive but at least it would not had been an expensive waste. Or if you do not like the term “waste” look at it as an expensive rollout to install a network slower than what around 50% of the country can already have access to. It makes no sense at all. Why would you invest in something already outclassed by a competitor? Of course that is what happened here either though, was it? In reality the government ran a tender asking for bidders to respond with proposals for delivering superfast broadband to areas where the market wasn’t doing so, not the other way round as your post suggests. The tender was technology neutral, so any bidders could have responded with an FTTP solution. As it happens BT responded successfully with a mainly FTTC offering, Fujitsu with mainly FTTP. Since awarding the contract, as we know, Fujitsu failed to win the first few counties then seems to have lost interest, possibly due to issues with an unrelated government contract. So like it or not, the market effectively decided that FTTC was the solution to the government’s problem, as otherwise another bidder would have put in an even more compelling solution than BT. It’s all very well saying you should buy for the long term, but presumably in this case the government decided that spending £1bn was preferable to say £20bn. You may make decisions in a different way Raindrops, the rest of us have to factor in what we can afford, just as the government must have done here. That seems reasonable to me, otherwise we may have been in the same mess as Australia with its failed FTTP programme, or Greece and others with their failed economies! Ah yes the BDUK tender process you mean the you can only have cash if you are a wholesale provider scam? BT choose FTTC. It’s not for me to defend the Government, but you may not know this is a basic requirement to clear EU state aid rules. Makes sense too, ensures there is competition amongst service providers which has provided UK consumers with a good deal of choice which they otherwise wouldn’t have. No it makes no sense because other government schemes such as the RCBF do not require wholesale commitment. Not sure what the link is for i freely admit the BDUK is under state aid guidelines the RCBF is not though. Hi – I put a lot of pricing information into the blog post – which demonstrates that people are willing to pay for “real” FTTH services and that around the world other service providers are investing in delivering optical fibres and terminating them in the property. This means that in other countries, the business case is proved (or is it proven?). But not all countries are the same – the cost per metre in Holland is much cheaper than the cost per metre in most parts of the UK as the geology is different (there’s a lot more sand there, in case you didn’t know). This doesn’t mean that the business case doesn’t work here – I’m sure you’re aware than Peter Cochrane produced such a thing many years ago. WIFI does not = internet access. In any case, WIFI is becoming less of a bandwidth bottleneck with Gbps speeds now available, which in turn makes increasing internet access speeds even more of an imperative. I gave a real world example of how increased bandwidth affects everyone that uses a computer – unless you still get your system upgrades on DVD, which isn’t the case in the world of Apple – maybe Microsoft deliver WIn8 on DVD? Why shouldn’t downloading a 4.4GB OS file take 1.2 seconds? The Slough graphic is of course illustrative, not of Slough’s coverage of VDSL, but of the effects of impedance. The reason I superimposed the graph on top of a map was to make it more real, not less – a graph on its own is fairly meaningless in isolation and my audience isn’t always deeply technical. Like my Mum, for example. I do in the text of the blog make it clear that Slough is served by many more that just one cabinet and an early draft of the post included a similar graphic with lots of impedance graphs all over it, but it was unintelligible. Yes I’m a marketing guy. Marketing communications is one part of what marketing is about, the other is product management. It’s been a long time since I did board-level fault finding with an oscilloscope and effecting repairs, or rebuilding RK05 disk drive packs on site, or did any programming in Fortran77. I have found that experience very useful in defining and managing the launch of various products and services, working with technical teams whose creativity was sublime. I spoke to the ASA about the advertising of copper-based services as fibre optic and their words back to me were “there’s so little copper in the network compared to fibre optic it doesn’t make any difference”. So if you think I’m bending the truth or ignoring facts, consider that response! It’s true, I didn’t produce an holistic business case of rolling out fibre to the home, however I did refer to the cost model and pointed out what I think are obvious flaws in rolling out G.Fast. And by the time you’ve stuck a DSLAM on a telegraph pole, run the optical fibre to the pole, sourced power and run that to the pole, I’d moot (with no figures to hand so shoot me) that you’ve covered 80%, 90% of the cost of running that fibre all the way to the home and the last few metres from pole to home are actually the quickest and therefore cheapest part of the chain. So in the interests of quality of service delivery at reduced operational cost, if you’re prepared to bear the expense of rolling out G.Fast, why not bite the bullet now and just go fibre all the way? Why are so many people in this industry so unwilling to consider a world where 10Gbps to the home is de rigeur? Why are their horizons so low? I find that quite depressing. I don’t regard symmetrical 1Gbps to the home as the aim – that’s simply where we should be now. I don’t think there’s any other technology than optical fibre that could achieve truly significant bandwidth to the home, or be able to cope with the consequent backhaul. If there is, let me know, I’d be seriously interested in it. On the issue of Vodafone – I left Vodafone a few months ago. On the issue of 4G, I think 4G is a good thing as it increases the bandwidth to end users and is a viable alternative to copper-based broadband services. The speeds I saw on Vodafone’s campus were truly staggering. Wouldn’t it be great if there was a 4G/WIFI router for the home with just one cable attached to it – the power cable? And if this was done right, maybe it could be used to extend the reach of 4G coverage, in much the same way the BT shares WIFi coverage with other BT customers? As someone else said in this thread, 5G doesn’t exist. Maybe the solution is to renationalise BT and ensure a USO is in place for Gigabit speeds to every home? How does that sound as a solution? As a national we seem willing to spend £X billions for a new railway line… Maybe we need a Minister for Networks? What I do find irritating is that 4G isn’t 4G, but LTE. I guess it’s those pesky marketing people again. I mused this years ago. A box you just buy, put in the window sill and plug into the mains, and it provides Wi-Fi for everything and a PSTN phone socket. And that’s what we have. 20 to 25 Meg down, pair of Panasonic DECT phones plugged into it, can change ISP just by swapping the SIM card so about 30 seconds effort.. 10 times faster than ADSL and still faster than VDSL could manage here. OK we have a more advanced setup than that – a second router with a VPN, Powerplugs and Ethernet etc. but for most, the box alone would suffice. If only 4G had the real-world bandwidth capability to deliver this to every home, I’d have thought we’d see fixed lines declining very sharply by this stage. 5G.. time will tell. Actually Neil, as I understand it, the exact opposite is true. The amount of time required to install the fibre in the home, along with the necessary kit, is significant and therefore expensive. G.Fast avoids this as it uses the existing line for the final drop, hence takes a fair bit of cost out of the equation. Technologists often underestimate labour costs, which is odd given tech gets cheaper over time, labour gets more expensive. As to the combined 4G and wifi box, I’m sure I read somewhere these will be shipping soon, but using broadband rather than 4G for the backhaul. I recall this debate a year ago. You wouldn’t wire up every home to the network en-masse, only when the service is ordered. e.g. Virgin Media – what is it, maybe ten minutes to drill a hole in the wall – may not even be needed if you can pull out the existing copper/alu feed cable – run cable – stick box on wall, tidy up with dustpan and brush. Have never known even a clean, new cable install to take more than half an hour. What’s the big problem, why is it that Virgin Media can do it, but BT simply could not? A FTTP install takes no longer than a Virgin install in fact it often takes less time, so nope time to install does not factor in to costs either if we are now comparing different technologies. Interesting you propose an “on demand” solution, i think this is already available. In any case you wouldn’t do that for a national roll-out. In terms of time, I take it you’ve never looked at what’s involved in delivering fibre then? Apart from fibre being less easy to handle than coax, you’ve got rather more equipment to install, including an UPS as required by Ofcom. And you have to factor in basic stuff like people being out unexpectedly, and having to do repeat visits, which doesn’t apply if you’re installing network equipment rather than needing to do things in people’s homes and offices. Like I said, technologists often overlook the human factors, assume it is easy when it can be one of the most significant costs. I note your other points, but they still don’t answer the question..
Virgin also have to in many case come and dig up the pavement or your garden or driveway in which to get the cable from the kerbside to your home. Its amazing he talks about cost yet for FTTC to be installed (something remember which no longer needs an engineer) BT still charge installation fees for. You can go order Virgin online though where the install requires significantly more work and have it installed for free. The price of Virgins broadband depending on package is also cheaper than FTTC from BT. Not sure where he is getting his logic from, either way quite funny when the “regular” trouble is accusing someone else of making “bogus” claims. The Virgin comparison with fibre on demand is a bit of a red herring as the Virgin install is only from the kerb, whereas the fibre on demand install is from the fibre aggregation point which could be some distance away, with possible streetworks required in between. The nearest telco equivalent to Virgin would be a new drop wire. On your more general question, I have in fact already answered that in my first post in this thread. Others will no doubt chip in with additional thoughts as they see fit. That to me sounds more like another reason FTTdp is an utter fail before it even starts. If FTTC is designed to be the “cheaper” option it certainly would suggest long term as i said it is not going to be “cheaper”. Any significant “boltons” to its network to boost its speed to end users means more expensive work. Plus also if FTTdp may mean digging up streets a significant distance to run fibre back to a distribution point i fail to see how that saves money compared to running fibre all the way to the exchange (IE FTTP) in the first place, you are doing the same thing just in 2 parts/rollouts rather than one. So, the answer is for BT to bring the DP to the kerb. Why is it that others can do it, but BT cannot? Because others planned for the longer term regardless of cost where as BT plan for the short term and the cheapest possible. ‘regardless of cost’. Where do you get that from? Virgins network was done regardless of cost, so much so at one stage it almost bankrupted them. Though obviously as a BT employee you probably wish it had. @Raindrops I’m not BT’s biggest fan but I take issue with your comment that BT “plan for the short term and the cheapest possible”. BT plans for maximum scale and maximum return on investment. They are very skilled at controlled evolution of the installed infrastructure to maximise return and minimise cannibalisation of existing profitable product lines whilst setting the agenda using their monopoly on wholesale channels. Take for example the introduction of Internet access services. Technologically speaking, BT could have introduced each new technology as it came out but instead we had controlled introduction of dial-up FRIACO, ADSL at 512kbps only for residential customers, 1Mbps and 2Mps for businesses, then an opening of the speeds on ADSL to 8Mbps, the introduction of ADSL2 and then FTTC, (in two stages, 40Mbps initially then in a second phase, 80Mbps) but still using the copper network and the same dialtone. I’ve no doubt BT has a ten-year plan that will drip-feed fibre-based services into the market in the same way. Each time the product was carefully billed as a step evolution from the previous and gave BT a path to the next product while they roll-out the technology across their estate. Should BT have launched 80Mbps VDSL day one? What was the advantage in rate-limiting at 40Mbps? For one thing, Virgin didn’t have a faster package so there was no need to compete, and secondly, offering 80Mbps a year later gave customers something to upgrade to – locking them into a further fixed term contract. BT’s product management is a textbook case of managing the market – there’s probably a book if not a PhD thesis in there. But one thing they aren’t is short-sighted or cheap – everything is done for a purpose.